You’re going to get arrested and nothing is going to change it. This isn’t the time to tell police that you have a problem with them. This isn’t the time to tell police that they are profiling you, or that they need to think about what they’re doing because you’re going to file a lawsuit against them and the City of Philadelphia. This isn’t the time to make personal attacks on the officers or to give them you’re political views about the presidential race. Shut your mouth and go quietly! I can’t tell you how many clients make my job harder by giving the police a hard time. I’ve been a criminal defense lawyer for almost a decade. My job puts me on the opposite side of police everyday but, I consider many my friends and I have the highest respect for what they do! This may sound strange but I question any criminal defense lawyer who “hate police” or make derogatory comments about them on social media. This doesn’t mean that I don’t want to win in court or do my best to ensure that my clients get great results. I want to win but … I’m not a jerk! Giving the arresting officer trouble is never going to help your case and it’s only going to make it worse which ultimately make my job harder. 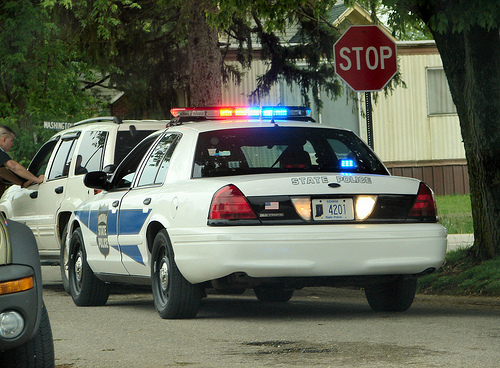 So if you want to really help your criminal defense lawyer….don’t be a jerk to police. Not being rude, however, doesn’t mean volunteering information or helping them collect evidence in your case. Guilty people don’t run! I actually disagree with this statement because there reasons why people run from police. The biggest reason in my experience is poor judgment and an internal nervous reaction (fight or flight). Getting arrested is scary and you’re going to experience a burst of emotional responses. You need, however, to try to keep it together and resist the urge to run away. First, running is going to make you look guilty. If your criminal case ever goes to trial, the assistant district attorney will specifically ask the judge or jury to consider you’re running as “consciousness of guilty.” This is an incredibly powerful argument for the prosecution. It’s even worse if you actually get away from police and your later get picked up on an arrest warrant at a traffic stop or worse at the airport or bus stop. Even if you turn yourself in to police, it doesn’t change the fact that you ran. Running also increase the chance that a judge will set a high bail. Bail is based on your risk of flight, the danger you present to the public and your contacts to the community. Even if you have 2 out of 3 going for you, running before you even get to court makes it look like you’re going to do it again if given the opportunity. If you’re being arrested, you need to start thinking about bail! Remember that bail hearings are 24 hours a day, 7 days a week in Philadelphia. Your criminal defense lawyer should have a 24 hour phone number. Our firm doesn’t believe in an after hours voicemail because most calls to our office during these times are from people’s whose friend or loved one has been arrested. Bail is extremely important because it’s always easier to fight your drug, gun or DUI case from the street than custody.